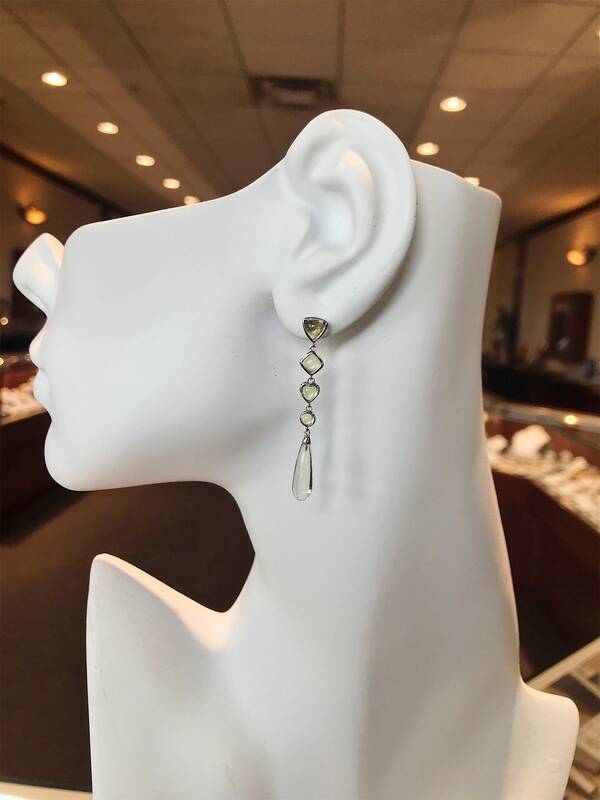 14K White Gold Peridot Dangle Drop Earrings. 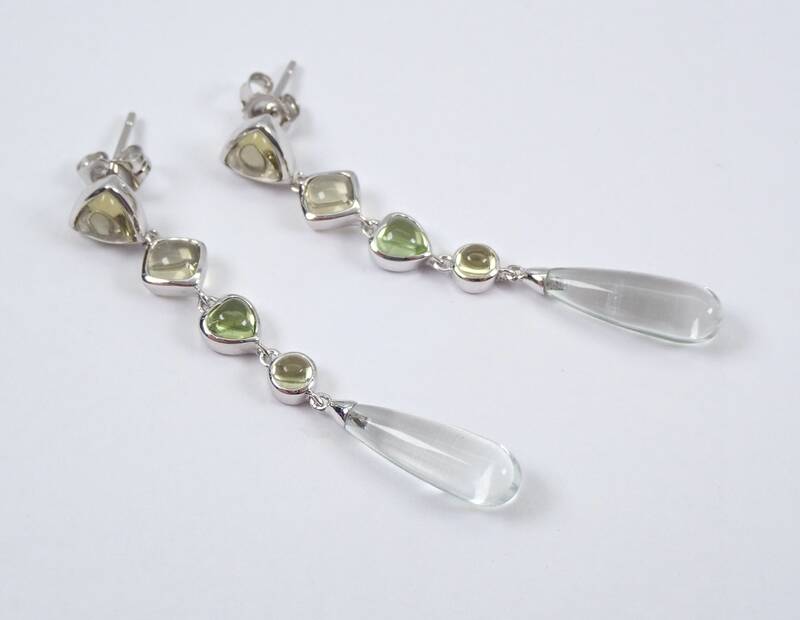 There are Trillion, Square, Heart, Round and Briolette Peridot set in these earrings. 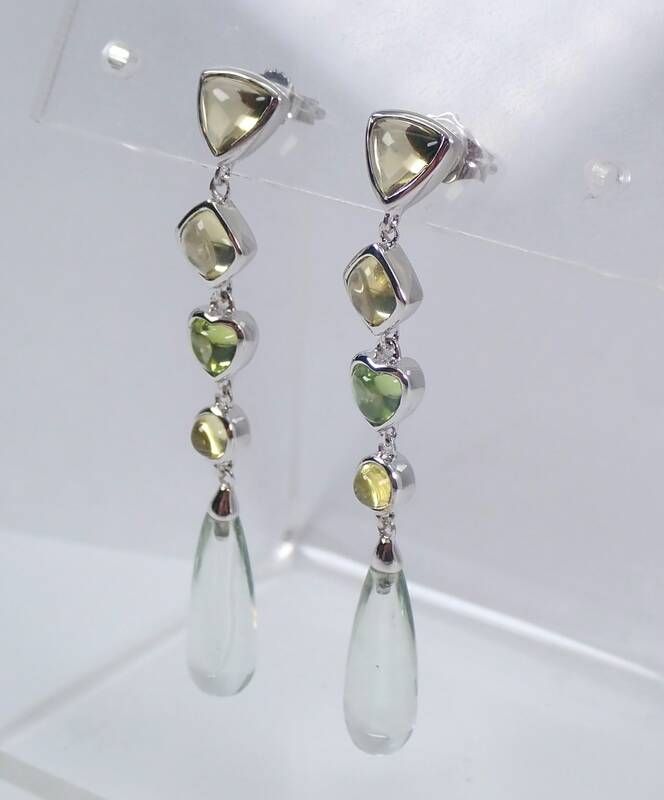 These Peridot are all Cabochon, have different hues of green colors weigh a total of 2 carats. 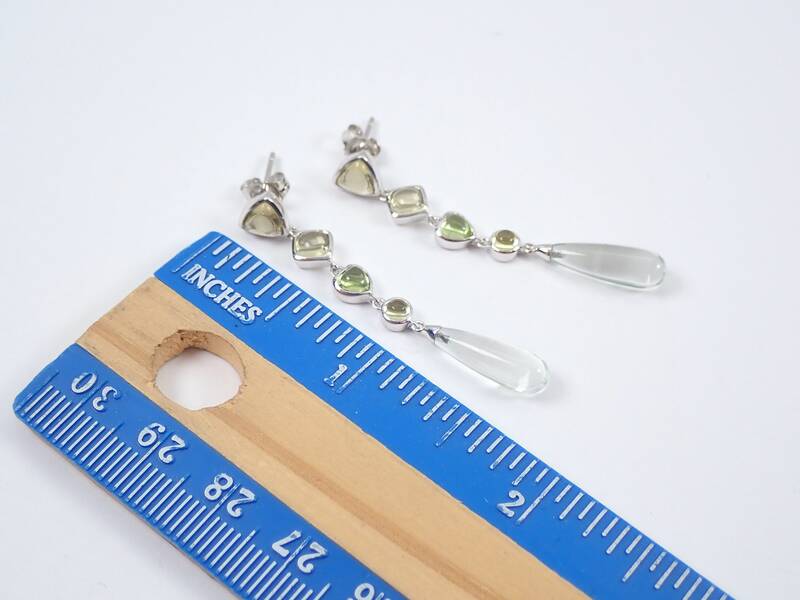 These earrings are 14KT White Gold, measure 45 mm in length (1 3/4") and weigh a total of 3.8 grams. 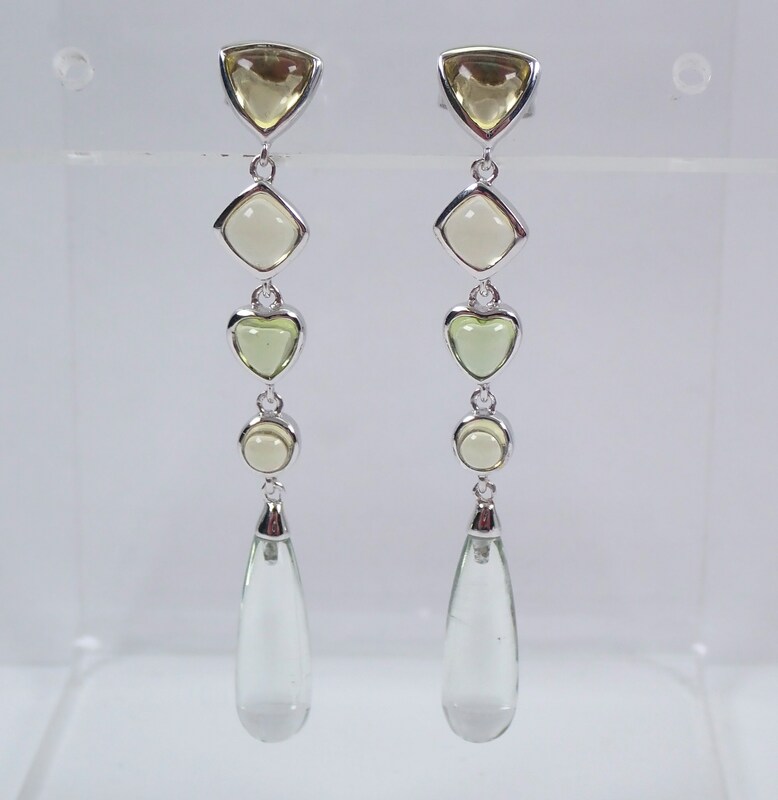 These earrings are for pierced ears and have a friction back posts. 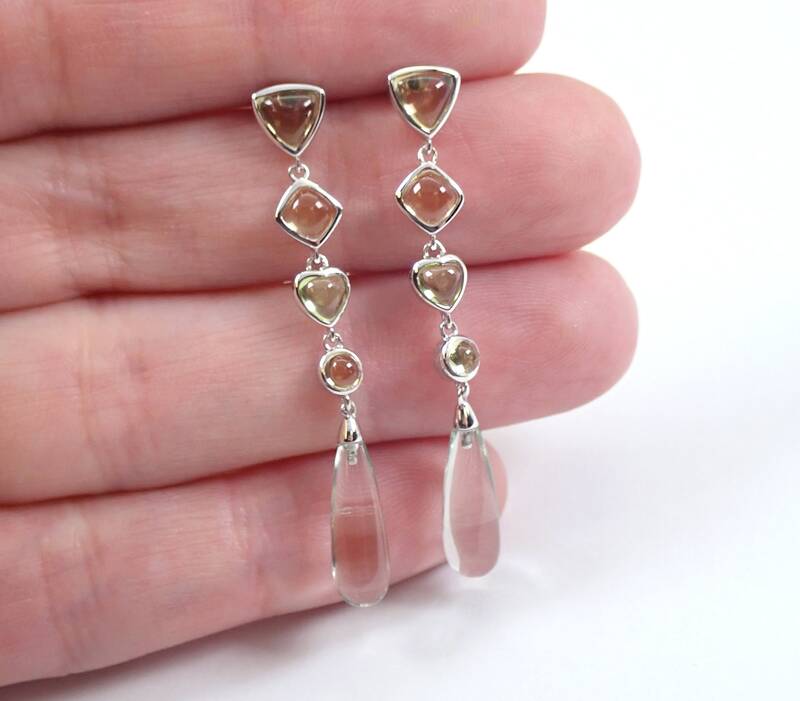 These earrings will be accompanied by an appraisal written by a GIA Certified Diamond Grader with the retail replacement value of $1,359.00. 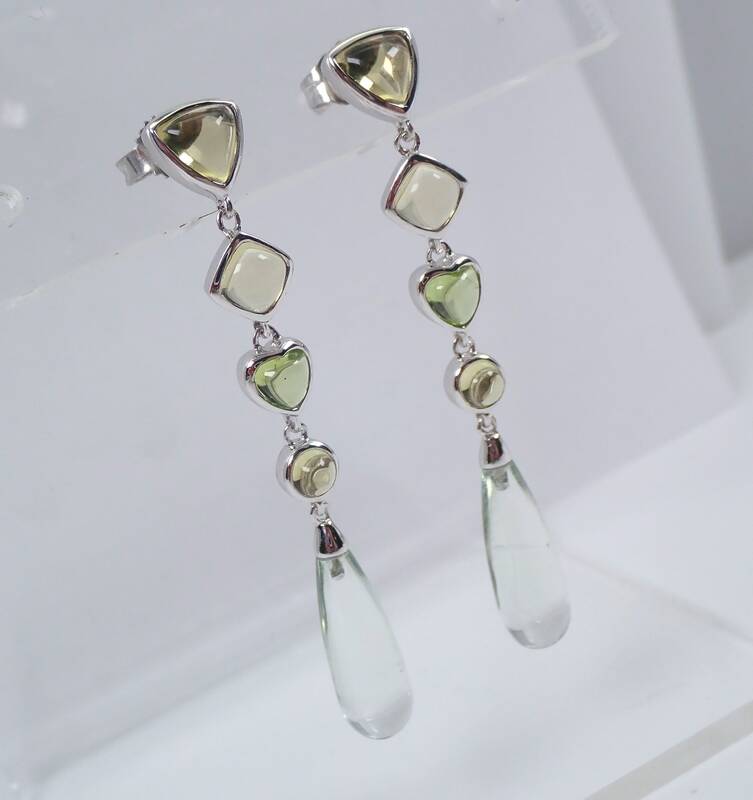 I will ship these earrings promptly in a gift box.